One of the main symptoms people suffer from is sinus headaches. These types of headaches are caused when there is a buildup of pressure within the sinus cavities. Individuals with these headaches usually experience "constant pain in the cheekbones, forehead and bridge of the nose" (webmd). The pain can vary from a small pain to a pain that it is so severe that individuals may think they are suffering from a migraine. They think that treating this type of headache pain as they would with a regular headache will make the pain go away. However, these types of headaches are not actually headaches, but rather the pain from swollen and congested sinuses. Even though the pain may go away with pain killers, it might return with a vengeance if the infection is not treated. With sinus headaches, you need to find the cause and treat that as well as relieving the pain. The good news is there are several home remedies you can try for sinus pressure, congestion and the pain that is associated with sinus infections. Ginger is excellent when it comes to many health ailments. This is especially true when it comes to sinus infections and headaches because it contains anti-inflammatory, antibacterial, anti fungal and antiviral properties. These properties help reduce inflammation of the sinuses and help treat the cause and the symptoms. One such remedy with ginger is to make a hot ginger compress. All you need is a bowl of water and some ginger. While you can cut up a piece of ginger root and allow it to sit in the water for a while, a quicker alternative is to purchase liquid ginger at your local health food store. After adding a few drops to the water you can start using the compress right away. Since ginger is hot, start out by using a few drops and add more to the water as you need it. You will want the compress warm. However, you will want to be able to tolerate the heat. Take a washcloth and run it under hot water. Then dip the cloth into the bowl. Take the wash cloth, lie down on your back and place the cloth across your cheeks and nose. Since ginger is easily absorbed through the skin and helps increase blood flow, you will find relief in no time at all. 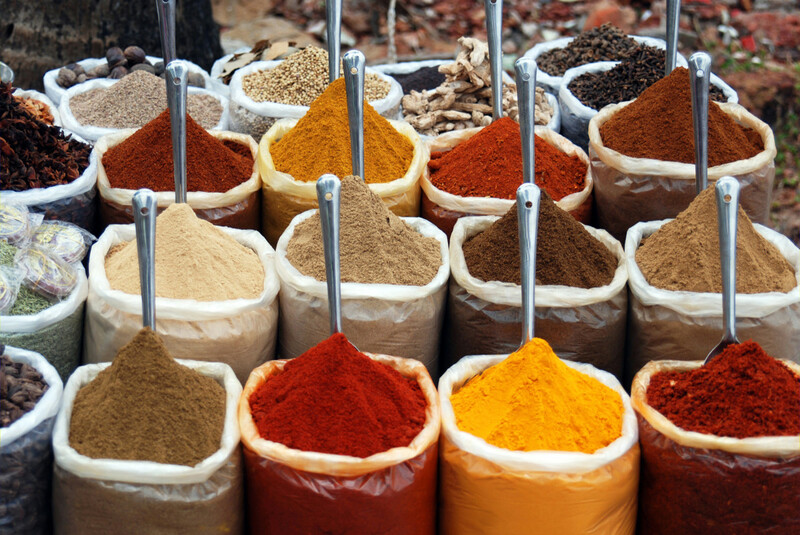 This spice not only with relieving the headache pain associated with sinus infections, it will also treat the cause. Eucalyptus essential oil, which you can purchase from your local health food store, contains calming and relaxing properties. These properties are excellent in relieving sinus headache pain. Just rub a few drops on the parts of the face that are painful. Since essential oils can be irritating to the skin, rub a drop on a small area of your skin, such as your forearm. If the area becomes red or irritated, try diluting a few drops of oil in a bowl of water. If you still want the effects of eucalyptus oil, you can just sniff a bottle containing this oil. The aroma is just as effective as rubbing the oil on your face. Note: Never consume this or any other types of essential oils. Most of these oils are not intended to be used internally. Doing so can be harmful and even fatal. Sniffing peppermint essential oil helps open up your nasal passages, Mix a couple of drops with almond, jojoba, grape seed or other skin-friendly oil and rub it under each nostril. While it is safe to use on children, use supervision on them when you treat their sinus infections. Since this essential oil has a sweet taste it may be tempting for children to give it a taste. Do you suffer from Sinus Headaches? Ice is excellent if your sinus infection is due to inflammation. Apply in to the parts of your face that is painful. This will help bring down the swelling. If you have one, use a flexible ice pack so you can keep it in place. However, if you do not have one, use a bag of frozen vegetables. If your sinus headache is caused more by congestion rather than pressure, steam does wonders. Go in your bathroom, close the door and turn on the hot water in the shower. Breathe in the steam. You can also put a pot of water on the stove and turn the burner to high. When it comes to a boil, remove the pot from the burner and put it on the table. Bend over the pot and inhale the steam. To get the full amount of the steam, drape a towel over your head. After using steam, make sure to blow your nose. 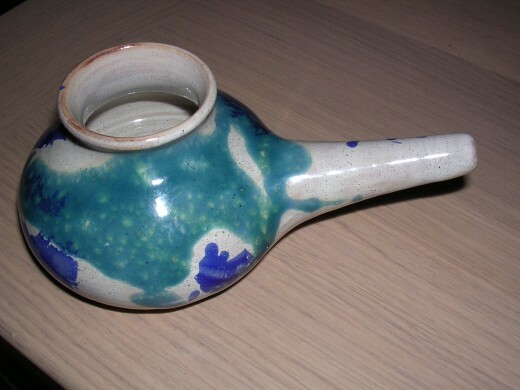 Another great way to treat a congestion related sinus headache is to use a neti pot. This is excellent in thinning out the mucous and clearing the sinus passageways. You can find these online on sites such as drugstores.com and also at your local pharmacy. These pots (which can be made of plastic, metal, glass or ceramic) are excellent in irrigating the sinus cavities. "They rely on gravity, along with head positioning and repeated practice in order to rinse the outer sinus cavities. Typically they have a spout attached near the bottom, sometimes with a handle on the opposite side" (Wikipedia). To use the pot, fill it with eight ounces of warm distilled water. 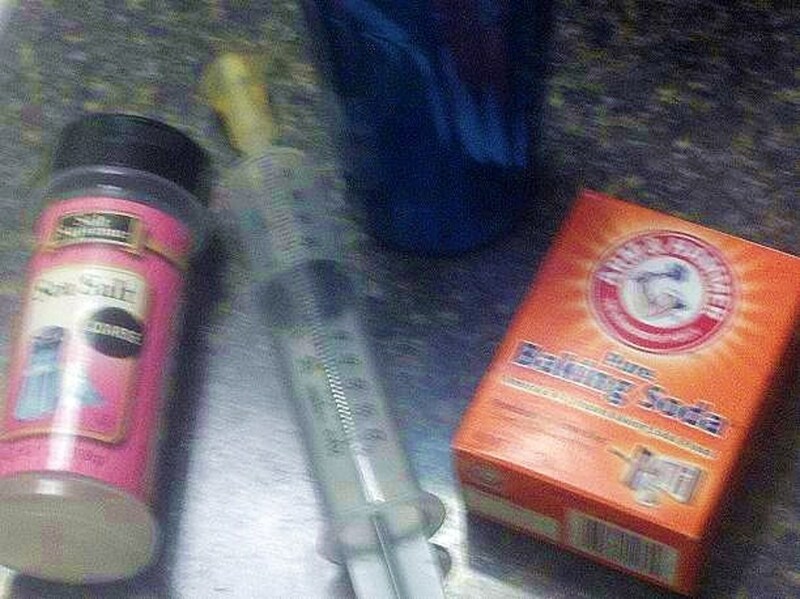 Add a half of a1/8 of the teaspoon of baking soda to the pot. Fit the pot into your left nostril and tilt your head to the right and pour until the liquid comes out your other nostril. It does not sound very attractive; however, it is very effective. Blow your nose and repeat these steps for the other nostril. After you are done, make sure you blow your nose. Note: When you are doing this treatment, you need to breathe through your mouth and not your nose so you do not accidentally inhale the liquid. If you need to use a little of the liquid, take a break and blow your nose then continue. Depending on how clogged your sinuses are, you may need to repeat this process every few days. Note: Do not use tap water. Purchase a saline nose spray from your local pharmacy. These are very effective in clearing allergens and pollen from your sinuses. Not only that, these are safe to use and are non-habit forming. When you use these, make sure you tilt your head to the side as you are treating each nostril. Make sure you blow your nose after using these sprays. The best way to prevent sinus headaches is preventing your sinuses from getting infected from occurring or, if you already have an infection, helping to speed up the healing. One thing to do is when you are lying down or sleeping, use several pillows to prop your head. This makes it easier for your sinuses to drain. If you have a cold, keep nasal decongestants and saline sprays handy. If your sinuses become infected due to allergies, stay away from dust and pollen. Keeping dust out of your home can be a daunting task especially if you have to change your bedding and vacuum your carpets on a daily basis. However, you may want to consider purchasing air purifiers for the most often used rooms in your house. These are effective in filtering out airborne dust particles. For allergies due to pollen, it is best to stay indoors when the pollen levels are high. Make sure you keep your doors and windows closed. If people around you are sick with colds or the Flu, keep your distance from them. When you catch their illnesses, you are opening the door wide of getting a sinus infection. Eating food that has a high amount of vitamin C will give your immune system a boost and may prevent you from getting sick in the first place. To make sure you are getting enough vitamin C in your daily diet, you can purchase supplements from your local pharmacy. Keep a humidifier in the house. While steam from a shower helps with sinus headaches and infections, it also is excellent in preventing your sinuses from getting infected. Drink eight glasses of water a day. When you hydrate your body, your body helps keep the sinuses drained. The above are a few of the ways to treat sinus headaches. You can find a countless more remedies online by doing a Google search. Keep in mind that some remedies may work for one person where other ways may work better for somebody else. It is best to try one method and, if that does not work, keep trying methods until you find something that works. However, if you are suffering from chronic sinus infections and headaches, it is best to see your doctor. He may need to prescribe you antibiotics-if this infection is due to a bacterial infection-or steroids. Between 10 and 30 percent of people between the ages of ten and thirty suffer from at least one migraine. Known as paroxysmal pain-when the pain is concentrated on one side of the head-the headache pain usually starts behind one eye. That is why blurred vision is one of the main symptoms of a migraine. Then the pain will spread to the rest of the head and in some cases the neck. Sometimes the pain is so severe in where the pain seems to throb along with your beating heart. Sometimes a person may not know that they have a migraine. For example, they might have a pounding headache but not have nausea or blurred vision. Some people may have a warning sign before the headache begins, such as a pressure. Others may not have a warning sign and get a full attack right away. Others may either feel depressed, angry or have a loss of appetite before getting a migraine. For most people who suffer from a migraine headache, the pain is so disrupting that they cannot do anything else until the pain goes away. Some people may think they are having a stroke because they may experience numbness in the arms and legs and have slurred speech. They may claim of seeing flashing lights and may even experience grayness in their vision and even temporary blindness. While some people are able to take an over-the-counter medication and the pain goes away in a short time, other people may suffer for a longer period of time, regardless of what medications they take. Even though there are over-the-counter and prescription medications that can help with migraine pain, some people do not like taking any kinds of medications. Some medications have dangerous side effects. The medications can be expensive and some people simply cannot afford them. If medications do not work for you or if you want to turn to something safer, there are many natural things you can do to that will help you with migraine pain. Bright lights can sometimes trigger a migraine arrack. Turn off the lights in a room and lie down on a bed or a couch. If it is daytime, pull the curtains to keep the daylight out. While reducing the light may help the pain, getting some sleep will be very helpful as well. Also turn off the radio, television and computer. Even turn off the ringer on your phone. The smallest sound will sound ten times as loud when you are suffering from a migraine. While exercise works wonders in getting rid of a tension headache, getting up and walking for thirty minutes is low on your priority list when you are suffering from a migraine. However, deep breathing is an excellent exercise that will make you relax. Do this by taking a deep breath, and then holding it for three seconds before inhaling. Fill a bowl with hot water and put three drops of peppermint essential oil in the water. Put your head over the bowl and inhale. Eucalyptus essential oil can also be used. Look for herbs that contain anti-anxiety and calming properties. Skullcap is an excellent anti-anxiety herb. 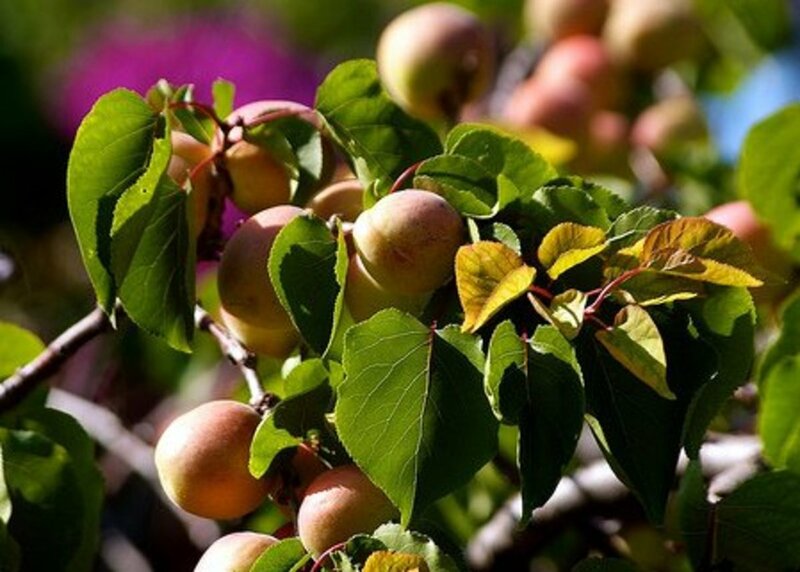 It will help you sleep and relieve muscle tension in your back and neck. Other herbs to use are poppy and butterbar. One of the main reasons why some people get migraine headaches is they are not getting enough oxygen to their brains. Did you ever go to sleep with the blanket over your head and you work up the next morning with a headache? That was because you were not getting enough oxygen throughout the night. Sometimes your circulatory system does not move enough oxygen to your brain. Several herbs can help improve the blood flow. Periwinkle helps keep the blood vessels dilated. This helps increase the blood flow throughout the circulatory system. When more blood is flowing, more oxygen reaches the brain. Ginko Bilboa is another herb that improves blood circulation. For pain try feverfew, oregano leaves and peppermint. These all are excellent herbs for reducing pain. Feverfew is also effective in easing your stomach if you feel nauseous or are vomiting. While feverfew is effective by itself, you can combine it with bay leaf for further relief. Oregano leaves helps relieve stress and anxiety when you steep the leaves in a cup of tea. Rubbing the leaves of the peppermint plant, or peppermint essential oil, on your temples, neck and forehead will help reduce and maybe even relieve the symptoms. The best home remedy is to prevent migraines from happening. Therefore, if you suffer from migraines, you have to find out why they are happening. The best thing is to write down in a journal of what things you did before you got the headache. For example, you might have been sitting and staring at a computer screen for several hours. Include in this journal whatever you ate that day. For example, certain foods-such as cheese-are a main trigger for migraine attacks. Then again, a migraine can be triggered when you skip a meal. Keeping this journal lets you know, in addition to what foods to avoid, that you need to create a healthy eating plan. Before you start any herbal program, talk to your doctor. Even though the above herbs are safe to use, they may interact with other medications or supplement that you may be taking. While these natural remedies will help in relieving headache and migraine pain, talk to your doctor if the pain does not go away or if the migraines keep coming back. Which type of headaches do you suffer from? "Cluster headaches occur in cyclical patterns or clusters, which gives the condition its name" (mayoclinic). Since these headache are painful, they can wake you up in the middle of the night. Therefore, these headaches are sometimes known as "alarm clock headaches. People who have these headaches have bouts of frequent attacks. These are known as cluster periods which can last days, weeks or months. You may get the headache and use medications to treat it. However, the headache may return later on in the day. Then when these headaches stop, the individual may not get them for a while. As a matter of fact, it may be years before the person has another cluster headache. These headache usually occur without any type of warning. With other types of headaches, you may have the feeling that a headache is about to begin. Therefore, in that case, you can treat the headache before the pain become unbearable. With a cluster headache, there is no warning at all. You may also experience "some migraine-like symptoms — including nausea, sensitivity to light and sound, and aura — may occur with a cluster headache, though usually on one side" (mayoclinic). These are just home remedies to help you with your headache pain. Never ignore your doctor's advice. Who is at risk at getting cluster headaches? Males tend to get these headaches more than females. Smokers and people who drink alcoholic beverages tend to get these headaches than those who do not. While people at any age can get cluster headaches, the main age range are individuals between the ages of 20 and 50. A family history of cluster headaches may be a key factor if you will fall victim to one of these. While these type of headaches are rare and non-life threatening, the pain of these alarm clock headaches can be unbearable. While you can use many prescription and over-the-counter medications to curb the pain until the next attack, you may want to try some home remedies. Look for herbs that contain anti-anxiety and calming properties. Skullcap is an anti-anxiety excellent anti-anxiety herb.. It will help you sleep and relieve muscle tension in your back and neck. Other herbs to use are poppy and butterbar. If you are not getting enough sleep at night, this can trigger cluster headaches. Set a steady sleep schedule each night and make sure that you follow it. If you do this, you may reduce the chances of getting a cluster headache. To make sure you get enough sleep during the day, avoid napping during the day. Make sure you have quiet in the room by keeping the television set turned off. This way your sleep will not become affected. Stress is one of the triggers of cluster headaches. It is best to be stress-free. There are many activities you can include in your daily routine that helps get the stress out of your life. These include listening to soft music, aromatherapy, yoga, meditation and practicing deep breathing. There are certain triggers that bring about cluster headaches. Whenever you experience one of these headaches, record what you had been doing when the headache came around. Some triggers include specific food, drinking, smoking and even being in high altitudes. Also look at the home remedies mentioned for migraine headaches. They are just as effective. With cluster headaches it is always best to see a doctor to rule out any other conditions. Sometimes more serious conditions such as a brain tumor, aneurysm, stroke, meningitis or encephalitis may be confused for cluster headaches. Once he rules out the more serious conditions, he can recommend traditional and natural treatments to handle your pain. Sinus infections (sinusitis) is when cavities around the nasal passages become inflamed. 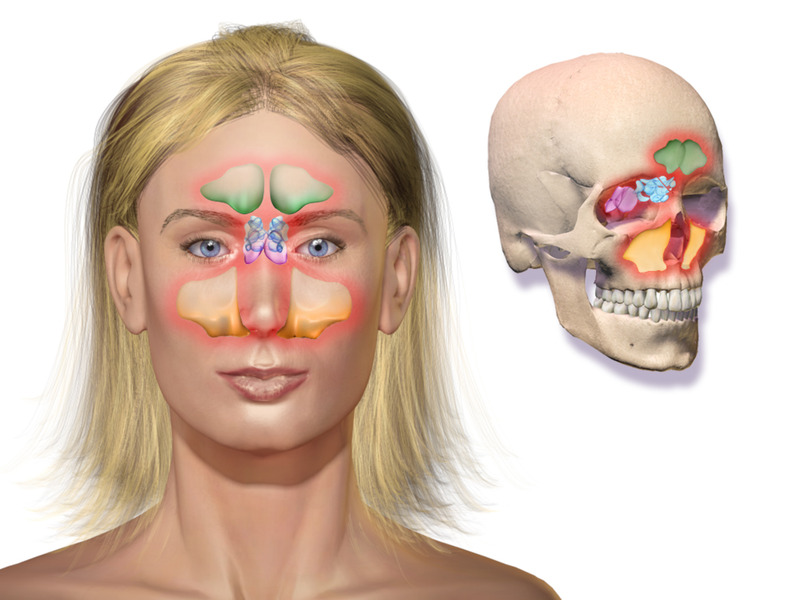 Learn about the symptoms, causes, and treatments of sinusitis. 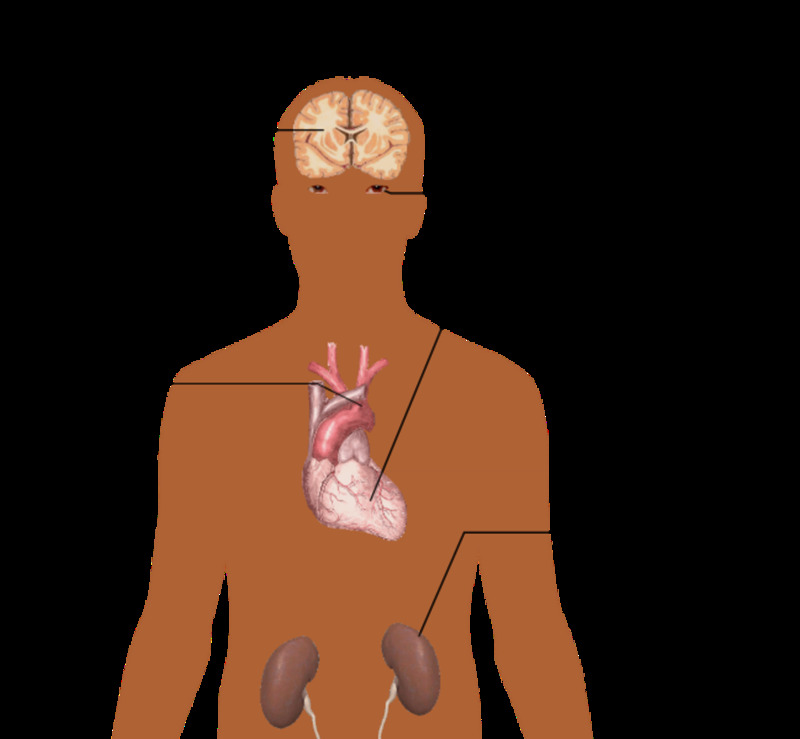 Migraine — Comprehensive overview covers symptoms, causes, treatment of this debilitating variety of headache. Cluster headache — Comprehensive overview covers symptoms, causes, treatment and prevention of this painful condition. Lois, thanks for these do-able remedies. Beats running to the doctors every few days. Thanks for your explanations. The better we understand our bodies, the easier it is to treat our illnesses. I had not thought of that Lois. Since I have been "spicing it up" they are now rare. Lois my horrific headaches were caused by muscle tension running from my low back all the way to my forehead.We tried everything but what finally worked was a Thera Cane. So simple it was funny. No more.